Have we mentioned that we work with the most amazing ladies in the blog world? Oh– well, yes we do and we have come together to bring to you an awesome giveaway that will make your holidays all the merrier! See below for details and good luck to all of you! Calling all IG lovers! Who wants to win $500? 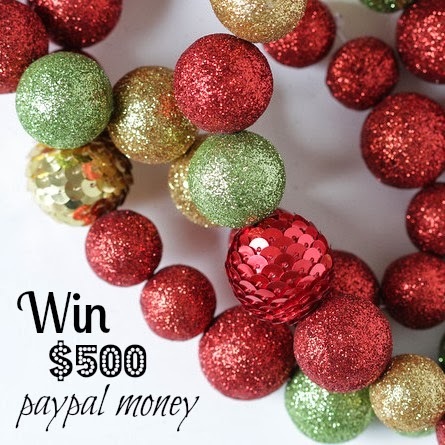 We’ve partnered up with CupcakeMag, Rags to Stitches, Lisa Leonard Designs, Caroline G Shop, Coconut Robot, Living In Yellow, Little Hip Squeaks, Take the Cannoli, Gussy Sews, The Printed Palette and The Shine Project to give one IG follower $500 in pay pal money for the holidays!! Head on over to get the scoop from CupcakeMag and enter to win. Hurry Hurry, Go Go Go! May Your Holidays Be Merry & Bright!